North Orlando – What To Do/Repeat Visit? Empty rocking chairs for you! 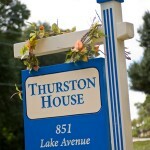 We have so many repeats to Thurston House bed & breakfast. Our area is so varied with many things to do that it can give you new things to do every time you come! Have you gone to the Audubon Birds of Prey Center, eaten at Bubbalou’s Bodacious Barbeque, visited the Zora Neale Hurston Museum, eaten at Bosphorous Turkish Restaurant, strolled Leu Gardens, snacked while tasting wine at the Maitland Wine Market, walked around Lake Lily, visited the Maitland Art Center, gone to Kata Thai Sushi, gotten an Edible Arrangement…… The list is to so long to post here so go to our Important Links page for all the links for these and so much more. ENJOY! 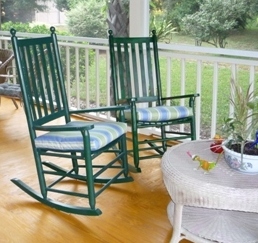 You can even just sit on the porch!